Well, that Kickstarter is here. 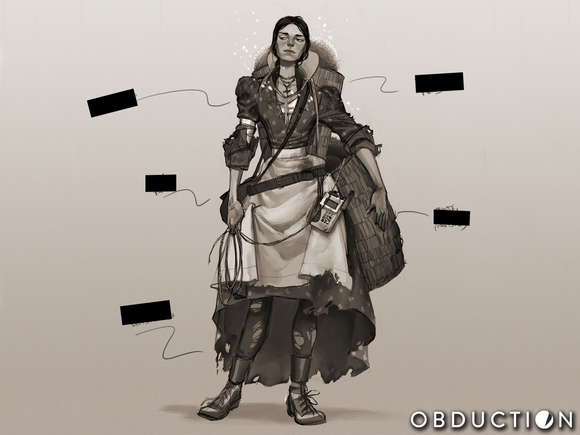 Meet Obduction, Cyan’s first substantial project in almost a decade (Myst V: End of Ages came out in 2005). 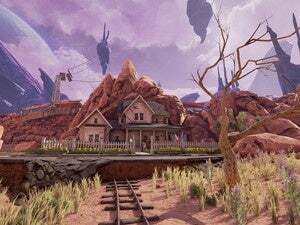 Obduction’s a sci-fi adventure game that, “harkens back to the spirit of Cyan’s earlier games Myst and Riven,” according to the Kickstarter page. This is not an entry in the Myst franchise; it’s an entirely new property. “It would be easy for us to just do a Myst sequel, but maybe not as satisfying as taking a new fresh look at ‘How can we build a spiritual successor to the experience Myst provided without necessarily tying ourselves to that same, precise storyline?’” says Rand Miller in the video. The pitch is light on details. All that’s been revealed is the game starts off with your abduction. “On a crystal clear, moon-lit night, a curious, organic artifact drops from the sky and inexplicably whisks you away across the universes to who-knows-where (or when, or why),” the Kickstarter page hints. And…that’s it. Really. 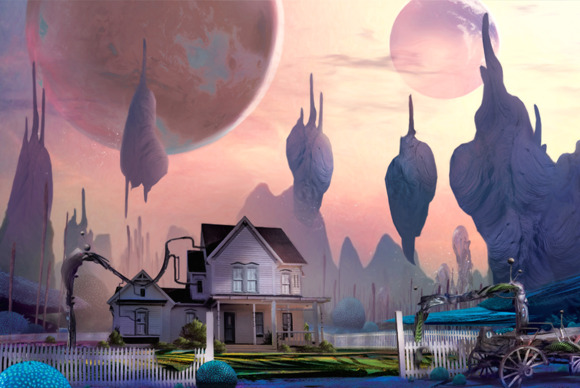 We also know Obduction is built in Unreal Engine 4—in other words, this game should be gorgeous. The Kickstarter boasts of a game that will look nicer than the pre-rendered, nearly photo-realistic environments used in Riven, and I’m inclined to believe Cyan on that count. We’ve got a long wait ahead. Even if Cyan meets its goal—though I’d wager it’s when Cyan meets its goal—Obduction isn’t due to release until 2015 but it will be for both PCs and Macs. That should be just enough time for Cyan newcomers to…finish the original Myst (which was ninth on PCWorld’s 2009 list of the Ten Greatest PC Games Ever).